A week after the All Progressives Congress, APC lost the governorship election in Delta State the party has predictably gone to war with itself with members engaged in trading blames over the loss. 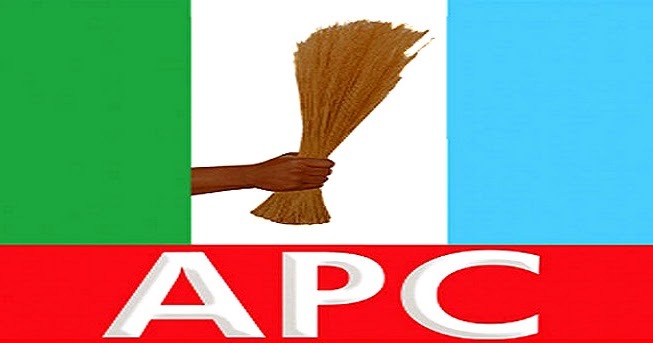 The APC won only two out of the 25 local councils in the state during February 23 and March 9 elections namely, Ughelli North and Ethiope East which are the home council of the senator representing Delta Central senatorial district, Senator Ovie Omo-Agege, Olorogun O’tega Emerhor and the party’s governorship candidate, Chief Great Ogboru. The blame game came to the fore last weekend when party chieftain and convener, Coalition of Delta All Progressives Congress, APC Support Groups, Daniel Ekiugbo, asked Ogboru not to consider the court option as he said that the party lost the election fairly because of the diversion of an alleged N3 billion campaign fund. Beyond the assertion by Ekiugbo, party sources also gave vent to the claim that an estimated N30 million budgeted for the mobilisation of each local government did not get to local party organisers intact. Upon the claim that they were starved of funds during the election, party agents it was learnt are now refusing to offer the information that Ogboru requires to back his petition. The kernel of Ogboru’s petition is the allegation of over voting in many Local Government Areas of the state. Ogboru has sought to win sympathy that the results of the election exceeded the card reader accreditation which he has circulated to critical members of the party and stakeholders in the state. However, his effort to gather the results endorsed at the collation are now being frustrated as many of the APC agents are refusing to turn in their documents to Ogboru and the party. “You can imagine them asking me to provide the results from my area when they did not relate with us during the elections. They behaved as if we did not exist during the election and refused to provide us with money and now they are asking for documents, but I am no longer obligated to him,” one party agent was quoted as saying. A party official who spoke on the condition of anonymity said that it had now become the refrain of party agents to deny Ogboru access to the documents. Vanguard, however, could not confirm if the APC agents were acting on the prompting of the Peoples Democratic Party, PDP or were just being retaliatory. It has been claimed that N3 billion was provided for the election by two high ranking Federal Government appointees for the election. Publicity secretary of the party in the state, Sylvester Imonina who was the only senior party official who agreed to speak on the issue, however, sought to play down the issue yesterday. Other very prominent party members when contacted on the unfolding development either begged not to be quoted or refused to respond to the issue. Imonina who also disclosed that some individuals within the party embarked on anti-party activities during the March 9 governorship and House of Assembly elections in the state have slammed over 20 suits against the Jones Erue led executive of the party. He said: “This is blackmail just to bring the name of the governorship candidate and all those who are working for the good of the party to disrepute. That is their aim because they feel the likelihood of them being reappointed is very slim hence this mudslinging. Shedding light on the continued impasse, Imonina said: “What actually happened was that some persons from Delta North felt not happy with these aggrieved individuals who are from Delta Central having queued behind them to fight against the aspiration of the governorship candidate. “So, when they saw the way the agreement was drafted, they felt angered, accused them of being greedy, withdrew and asked to be negotiated on their own terms and this stalled the agreement that was brokered by the Vice President.